The possibilities for paper candy bags are endless! Use at a candy buffet for your guests to easily take away sweets, use as favor bags for wedding candy, or even use to bolster your concession paper supplies. Blair Candy carries paper candy bags that can hold one to four pounds of candy in bulk. 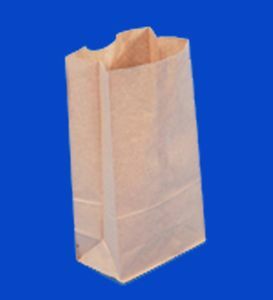 From the classic brown paper bag, to the iconic white candy bag that candy store supplies have relied on for years, we have the candy buffet bags you need. 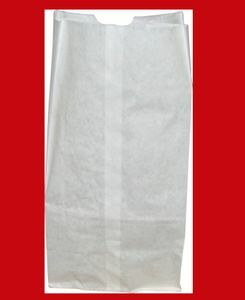 In addition to these, we carry a variety of concession paper supplies too! Visit our Little League Candy & Supplies page for more options. We also have additional candy store supplies that are great for giving homemade treats and sharing candy. Blair Candy has all of the candy in bulk, snack foods, and supplies you need for a successful event. 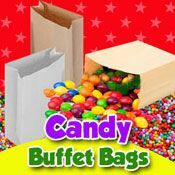 See all candy buffet bags below!